Joint news conference - Presidents of Moldova and Russia. 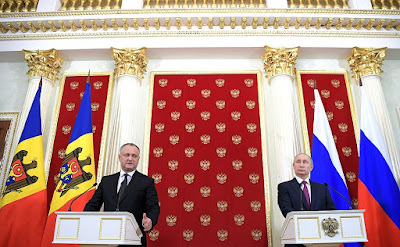 Putin.BLOG Foreign Policy Joint news conference - Presidents of Moldova and Russia. Vladimir Putin and Igor Dodon gave a joint news conference following the Russia-Moldova talks. Our talks with the Moldovan President were held in a constructive and I would also say friendly atmosphere. They were concrete and covered issues of mutual interest. We have discussed the entire range of bilateral issues first in a narrow format and then in the presence of the heads of Russian ministries and agencies. We have outlined the goals and tasks for the further development of Russian-Moldovan cooperation. We also held a detailed discussion of regional issues. I welcome our partners’ intention to further develop bilateral relations. I would like to say that Moldova is an important partner of Russia in the post-Soviet space. 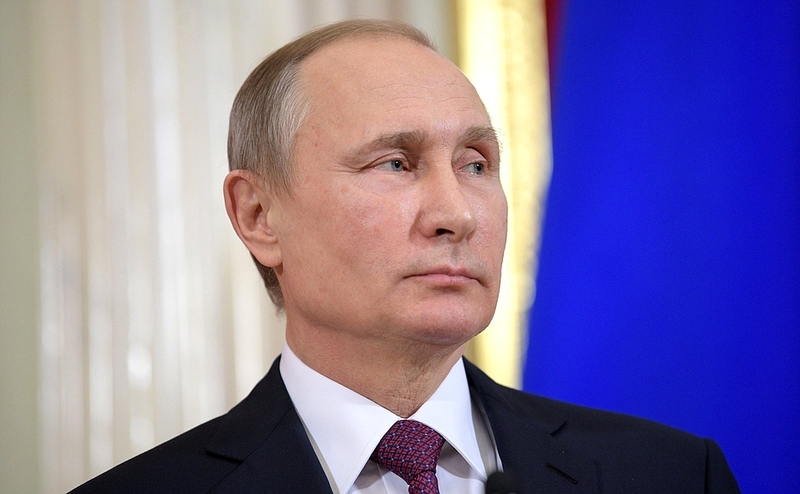 Russia has always stood firmly for maintaining the sovereignty and territorial integrity of the republic and its non-aligned and neutral status. This year Russia and Moldova will mark 25 years since the establishment of diplomatic relations. Mr. President and I have agreed that we will celebrate this event. Our talks focused on the development of mutual trade. Unfortunately, our bilateral trade has decreased by more than 50 percent in the past few years, largely due to objective factors such as fluctuating prices of raw materials. Also, we must say that Moldova’s mutually beneficial ties with Russia deteriorated due to attempts to boost the republic’s rapprochement with the European Union. As a result, Moldovan goods have almost lost their traditional place in Russia and have not gained a foothold in other markets. On the contrary, statistics show that Moldova’s trade with the EU countries has declined. The bilateral intergovernmental commission is now working to remedy this situation. During a recent meeting, it has adopted a joint action plan for 2016–2017, which includes practical steps to bolster mutual investments and trade, including in industry, high technologies and agriculture. Incidentally, Russia is not opposed to Moldova developing relations with its partners anywhere, including Europe, as we pointed out at the talks with the Moldovan President. However, we would like this joint work to proceed in a coordinated manner, so as not to damage what we have created but to help us move forward, improving our economies, the social sector and the quality of life for our people. The energy sector is a key aspect of Russian-Moldovan economic cooperation. Russia regularly provides Moldova with oil and gas and completely meets the country’s demand for natural gas. After the talks, we instructed experts to draft proposals on addressing issues in this area. Russia and Moldova have substantial experience of inter-regional cooperation. Sixty-seven Russian regions maintain contacts with their Moldovan partners. Moscow, St Petersburg, Belgorod and Bryansk regions lead the way in this respect. Russian regions are also actively expanding their ties with Gagauzia. We have agreed to take action for expanding bilateral cooperation in humanitarian areas. Naturally, we discussed the Transnistria peace settlement in great detail. Some improvements in the negotiating process that manifested themselves in 2016 will certainly help enhance trust between the parties to the conflict. It is necessary to search for a mutually acceptable state legislative model for resolving the conflict on the basis of generally recognized norms of international law. As before, Russia is ready to continue acting as mediator and to guarantee compliance with agreements that may be reached by the parties. During our talks, we devoted attention to Eurasian integration processes. As the incumbent CIS president, Russia praises the desire of the President of Moldova to expand Moldova’s involvement in the work of CIS organizations. I know that Mr. President has met with Tigran Sargsyan, chairman of the Eurasian Economic Commission’s Board, earlier today. I hope very much that we will also be able to reach certain agreements in this area, so as to remove all possible concerns in the economic sphere and to expand the base of our cooperation. In conclusion, I would like to thank President of the Republic of Moldova Mr. Dodon and all our Moldovan colleagues for the detailed and fruitful exchange of opinions. I am confident that the latest talks will help expand equitable Russian-Moldovan cooperation. Today is a historic day for Moldovan-Russian relations. Unfortunately, the past seven years were not the best period in our relations, which date back hundreds of years. As we know, strategic partnership with the Russian Federation has disappeared from the majority of government documents and strategies of the Republic of Moldova. This is the first visit by a Moldovan President in the past nine years. Until now, Moldovan leaders did not come to Russia but made official visits to Brussels. Last year Moldovan citizens cast their votes for the values the President of Moldova will uphold. They opted for maintaining our statehood and neutrality, for reintegration, for settling the Transnistrian issue and preserving our traditional Orthodox Christian values. These three aspects are of fundamental significance and cannot be protected or promoted outside strategic partnership with the Russian Federation. I would like the citizens of Russia to know clearly without any doubt that the majority of Moldovans want to be friends with Russia, regardless of what some politicians may claim. We are set for strategic partnership with Russia, and I am convinced that we will turn a new page in our bilateral relations today, the goal we have discussed in detail during my visit. Of course, we discussed very many issues that have accumulated over the past years. One of them concerns trade. We understand that it will be difficult to resolve all problems in our bilateral trade while retaining the free trade agreements we have with other countries, including the EU, but we have agreed to move towards this goal. Of course, there is the issue of our migrants. Almost 500,000 Moldovan citizens officially work in the Russian Federation, several tens of thousands are in Moldova and cannot enter Russia due to various administrative violations. This issue was among those discussed. We hope that in the very near future a solution for our citizens can be found. Transnistria is another very important issue. Transnistria is a part of the Republic of Moldova. For the first time in the past nine years, I paid a visit to the left bank, Transnistria. Earlier this year, also for the first time in the past nine years, there was a meeting between the leaders of the right and left bank. This produced a concrete result: the Joint Control Commission started working. I do hope that with the active involvement of our strategic partners from the Russian Federation, we will make progress in solving the problems that our people face on both banks of the Dniester. We learned our lessons from the mistakes of the early 2000s when it comes to the Transnistria issue and I am certain that we will not repeat those mistakes again and will move forward. Therefore, Mr. President, our citizens have great expectations and I am sure they are justified. I hope that from now on, the citizens of Moldova will feel that we have resumed our friendly strategic relations. Question: Mr. Putin, I have a question for you. A lot of things are happening in Moldova for the first time now. We had a nationwide presidential election for the first time. Also for the first time since 2008, as someone mentioned today, we had a meeting at this level here in the Kremlin. And a meeting of the two leaders, the newly elected president and the Transnistrian leader took place on the right bank, in the town of Bendery, also for the first time. Reasonable political forces in Moldova now understand that improving the protracted situation in the Transnistrian region is impossible without the active participation of Russia. In your view, what might happen and how, and what could drive this process? Perhaps, the revival of the "Kozak plan" or some other road map? Thank you. First of all, I want to say that we welcome the courage showed by the newly elected President Igor Dodon, who travelled to Transnistria, because it is definitely a demonstration of the desire to restore not only relations, but also the country’s territorial integrity. It is also a clear manifestation of respect for the people who live in Transnistria. I think that this will create proper conditions for the start of constructive and serious talks on the Transnistrian settlement. You know, in 2003, we came as close as ever to reaching a final settlement to this issue. Unfortunately, the Moldovan authorities abruptly changed their mind then, and the plan drafted by all the parties to this process fell through. I hope very much that we will return to this issue not in words but in deeds, and find a compromise solution taking into account the interests of all the people who live in that region. If such a compromise is found – and it can be found only among Moldova and Transnistria – we will definitely act as guarantors of the fulfilment of all agreements that are made. Question: I have a question for both of you. I will continue the theme of the many firsts today – not only the first visit or the first high-level talks. As we know, the Russian-Moldovan Intergovernmental Commission met recently for the first time in four years. Based on the results of today's talks, do you think it will be possible to move toward restoring intensive cooperation? Will it be possible to restore economic cooperation between Russia and Moldova? For example, will Russia open its market to Moldova? And if so, when can it happen? Thank you. I think we will eventually get there. We must proceed from realities, though, including the reality of Moldovan politics. We know the competence of the Moldovan Government, the competence of the President. Some issues are not within the President’s competence according to the country’s constitution. But we will work with the Government and with the President, we are ready for it. I already mentioned this in my opening remarks. Much will depend on how Moldova will build its relations with the European Union, I mean the association agreement between Moldova and the European Union that has been signed and entered into force. There are certain risks for us, similar to the risks that we faced after a similar document was signed between Ukraine and the European Union. We said so openly and quite convincingly, I believe. We always said so to our partners in the CIS countries, and to our European partners. Much can and should be done in the trilateral format, of course, if our European friends and our partners (Moldova, I mean) are willing to do so. Many plants in Moldova have reopened already, and their products are being delivered to the Russian market. We agreed that a number of plants will be further inspected by relevant Russian agencies, and I do not rule out, actually I am almost certain that the number of companies allowed to supply products to the Russian market will increase. The same applies to labor migration issues. Mr. Dodon has raised this issue today in a variety of formats. Well, what can I say? Moldova is certainly less of a threat in terms of undesirable migrants infiltrating Russia than other areas, bearing in mind a number of factors that the President of Moldova just mentioned. We will think about how to resolve this problem, considering that many Moldovans are really economically dependent on working in Russia. We understand this and are willing to help them. I think a solution will be found. Regarding the resumption of full-scale economic cooperation, I will say this. Of course, we would like it here and now but we understand that Moscow was not built in a day. We understand that what was destroyed over years cannot be restored overnight. We are pragmatists and we understand that there is an association agreement with the European Union. By the way, I have repeatedly come out against signing the agreement. I believe that the agreement has done Moldova no good. We have lost the Russian market and, strangely enough, our exports to the EU have also fallen. In other words, we have received nothing from signing the agreement. And I cannot rule out that after the next parliamentary election, this will be the position of the parliamentary majority and I will support that position. There is the Socialist Party and I hope they will get a parliamentary majority and the agreement will be repealed. Regarding cooperation with the Eurasian Economic Union, it is very important. Mr Putin has spoken about this. In the morning I had a meeting with the leadership of the Eurasian Economic Commission. Today I put forward an initiative to sign a framework memorandum on cooperation with the EAEU. We agreed to begin consultations within the next few weeks and sign this memorandum in the next few months. It is not at odds with the agreements that Moldova has signed at this point with other partners, but it is the first step toward rapprochement. I asked Mr. Putin to consider the possibility of Moldova getting observer status in the Eurasian Economic Commission. I believe this is a good step for us to see what needs to be done and how, as well as to gather information from both sides. Insofar as trade and economic ties are concerned, I believe we are at the beginning of our path. At this stage, enterprises from Transnistria, Gagauzia, and dozens of companies from the rest of Moldova are already supplying their goods to the Russian market. I hope that in the next several weeks (we have discussed this) the list will be expanded for our manufacturers to return to the Russian market. However, the full-scale opening of the market should, of course, be considered also within the framework of the agreements that Moldova has signed with other participants. In early February I will visit Brussels and naturally we will talk about this with our EU partners, citing figures. Two years have passed and so far, there have been no results either in the economy or in other sectors. We will have to decide what to do next. Question: I have a question for Mr. Putin. Labor migration is a key concern in Moldovan society. Do today's talks provide any hope for resolving this issue? What specific steps is Russia prepared to make in order to positively resolve the migration issue? I have just mentioned this. I can only repeat what I said earlier. About half a million people from Moldova work in Russia. We don’t have any major issues with the people who come to work in Russia from Moldova. About 50,000 Moldovans can’t enter the territory of Russia because they violated certain laws. There will not be a positive outcome for those who have committed felonies. For all others, we will seek a solution. I repeat: I am confident that we will find one. We need to build such relations with a wide range of our partners. This does not apply to Moldova, because if we make certain decisions with regard to Moldova, we will have to make decisions with respect to other countries. In this sense, Moldova is hostage to our relations with other countries, but I repeat: we have no problem with Moldova and Moldovans of all ethnicities who come to Russia. I am referring to a variety of favorable factors. We need to do more work on this issue. We agreed that we will create a corresponding Security Council committee in Russia, and effectively it has already been created upon my instruction. In the course of today’s talks, the Deputy Interior Minister reported to us their plans for the near future. I just don’t want to get ahead of events, but I want to assure you that we will find a solution. Question: Sorry, this is a bit off-topic for today’s meeting, but it is an international issue. I’m referring to the flare-up of American passions. It is an important issue. How do you feel about the fact that Barack Obama, whose term will end in days, has introduced new anti-Russian sanctions, without waiting for the previous sanctions to expire? A bill is pending in Congress and if it is adopted, it will be more difficult for Trump to lift them if he so decides. And another point. You have never commented on the report claiming that we in Russia gathered compromising materials on Trump, among other things, during his visit to Moscow. It has been alleged that he partied with prostitutes at a Moscow hotel. Is that true? Have you seen those files, videos, footage? Continuing on the topic of America, some of Trump’s remarks have displeased Ms. Merkel and Mr. Holland, and America’s relationship with the EU is worsening. How do you feel about this? What are we seeing in the United States? We are seeing the continuation of an acute internal political struggle despite the fact that the presidential election is over and it ended in Donald Trump’s convincing victory. Nevertheless, in my opinion, several goals are being set in this struggle. Maybe there are more, but some of them are perfectly obvious. The first is to undermine the legitimacy of the US president-elect. By the way, in this regard, I would like to point out that whether deliberately or not, these people are causing enormous damage to US interests. Simply enormous. The impression is that, after a practice run in Kiev, they are now ready to organize a Maidan in Washington to prevent Trump from taking office. Look, I am not acquainted with Mr. Trump. I have never met him. I do not know what he will do in the international arena, so I have no reason either to attack him or criticize him for whatever reason or to defend him, no matter what. We will not even ask the Nobel Committee to give him a Nobel Prize for mathematics or physics or any other subject. I have absolutely no grounds for that. However, these leaks are obviously fabricated. When Donald Trump came to Moscow a few years ago – I don’t remember exactly when – he was not a politician. We were unaware of his political ambitions. He was just a businessman to us, one of the wealthiest men in America. Does anyone think that our special services are chasing after every American billionaire? Of course not. It's nonsense. That’s my first point. But I very much hope that common sense will prevail. This applies to relations between the United States and its allies, including in Europe. After all, it is the current outgoing administration that has involved many European political leaders in the US domestic political fight. Today's problems are the result of these activities. I am sure that major mutual interests will set things right. Of course, there may be nuances, and it might leave a bad aftertaste, but still things will fall into place eventually. By the same token, I am sure, we will eventually be able to return to normal state-to-state relations in the interests of both the peoples of Europe and the peoples of Russia and the United States, which will contribute to advancing the global economy, stabilizing the international situation and providing security. 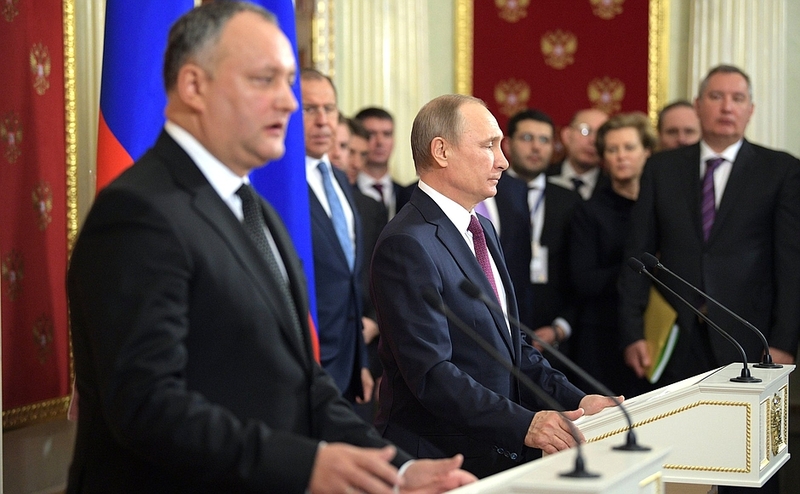 Vladimir Putin and Igor Dodon. News conference at Kremlin. 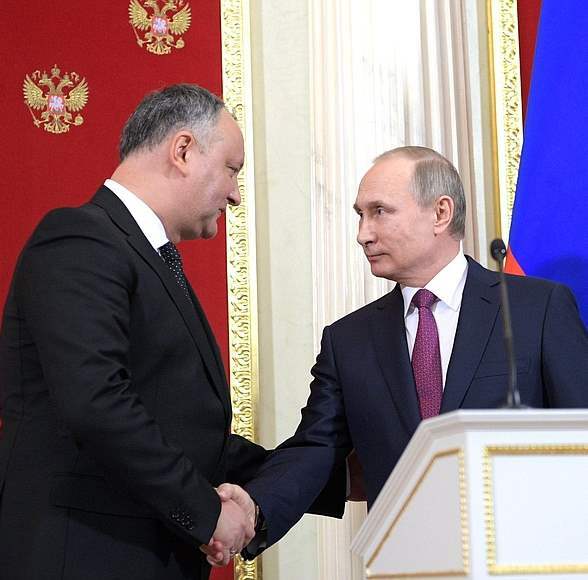 Presidents of Moldova and Russia. News conference at Kremlin. 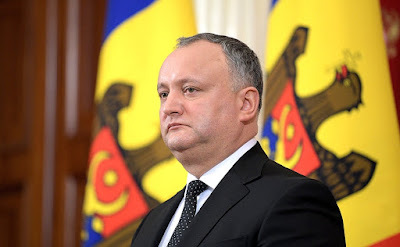 President of Moldova, Igor Dodon. 0 Comment to "Joint news conference - Presidents of Moldova and Russia."